Pictured above : Dr Aleeta Fejo – the first home-grown Northern Territory Aboriginal Fellow of the RACGP and a traditional owner and elder of Larrikia people whose family attended the Academic session to celebrate this personal and community achievement. The Royal Australian College of General Practitioners (RACGP) is proud to award nine RACGP Fellowships of Aboriginal and/or Torres Strait Islander descent in the past year with four attending the Academic session at GP13 in Darwin. The RACGP Fellowship is the admission to the specialty of general practice – which for many new Fellows is a career highlight, provides important recognition from the RACGP and peers and represents excellence in general practice. 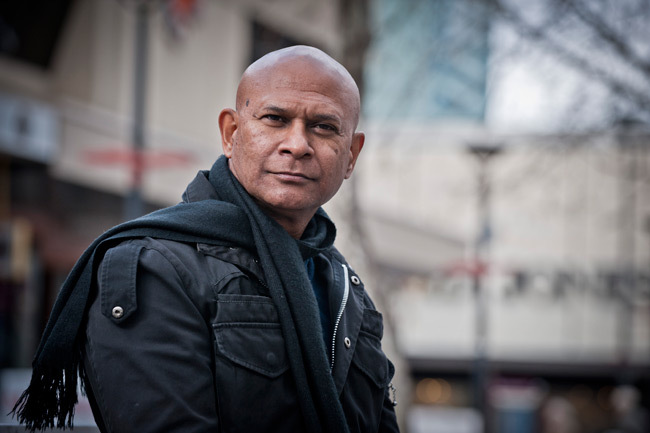 Associate Professor Brad Murphy, Chair of the RACGP National Faculty of Aboriginal and Torres Strait Islander Health said that for Aboriginal and Torres Strait Islander people, obtaining their Fellowship is more than a qualification; it is a step towards Closing the Gap for their entire community. “The RACGP’s Aboriginal and/or Torres Strait Islander Fellows have faced the additional pressure of racial adversity in reaching this momentous achievement and should be commended for their dedication to improving the health outcomes for their direct communities and all Australians,” said A/Prof Murphy. Dr Aleeta Fejo – the first home-grown Northern Territory Aboriginal Fellow of the RACGP and a traditional owner and elder of Larrikia people whose family attended the Academic session to celebrate this personal and community achievement. Dr Olivia O’Donoghue – the grand-daughter of Aunty Lowitja O’Donoghue and one of the first recipients of the Puggy Hunter Scholarships in 2002. Dr Tammy Kimpton – the current President of the Australian Indigenous Doctor’s Association. Dr Katherine Engelke – the 2012 recipient of the RACGP General Practice Registrar of the Year award. The RACGP is committed to improving the health of Aboriginal and Torres Strait Islander communities and will continue to support the pathway of Aboriginal and Torres Strait Islander people working towards or in a career in general practice. Are you interested in working in Aboriginal health? 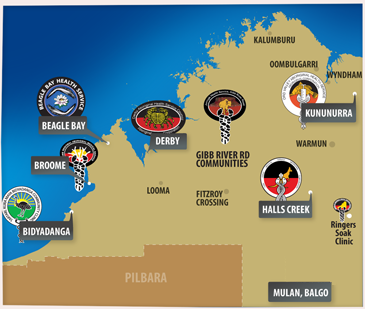 NACCHO is the national authority in comprehensive Aboriginal primary health care currently has a wide range of job opportunities in the pipeline. Approximately 1,000 medical professionals from across Australia will be in Darwin for the Royal Australian College of General Practitioners (RACGP) Annual Conference are set to make a difference to health outcomes for Aboriginal and Torres Strait Islander people , GP13, on 17–19 October. Aboriginal and Torres Strait Islander health is a primary focus of the GP13 program with the aim of ensuring all general practitioners and their practice staff provide culturally and clinically appropriate healthcare to all Aboriginal and Torres Strait Islander patients. Associate Professor Brad Murphy, Chair of the RACGP’s National Faculty of Aboriginal and Torres Strait Islander Health, said ‘Closing the Gap’ on health outcomes and life expectancy between Aboriginal and Torres Strait Islander people and the broader Australian community is one of Australia’s highest health priorities. “Aboriginal and Torres Strait Islander people have the same right as non-Indigenous Australians to enjoy a high quality of health, including not just the physical wellbeing of the individual, but also the social, emotional and cultural wellbeing of the entire community,” A/Prof Murphy said. A highlight of the GP13 program is key note speaker, Dr Theresa Maresca (Mohawk Tribe, Kahnawake Band) presenting AKWE:KON (all of us, together): What American Indian communities can teach general practitioners plenary session. The RACGP is pleased to host two Aboriginal medical students at GP13, who have been given the opportunity to attend through student bursaries offered by the RACGP. A number of traditional Aboriginal artwork will be available for purchase for the duration of the GP13 conference. The RACGP is proud to support efforts to tackle health disparities between Aboriginal and Torres Strait Islander people and non-Indigenous Australians and acknowledges the daily work of many of its members to improve health outcomes for their Aboriginal and Torres Strait Islander patients. Follow GP13 on Twitter @RACGPConference for real-time GP13 conference updates or visit the website for an up-to-date program. GP13 – The RACGP Conference for General Practice, set in Darwin on 17–19 October, features a strong e- health program offering the expected 1 000 delegates a wide range of e-health related presentations and workshops. This year’s theme is ‘Individual. Family. Community.’ and e-health will be a focus across the streams of Dermatology, Clinical skills across general practice, Musculoskeletal medicine, Pain management and chronic conditions, Education and training and Business in practice. Officially launched at GP13, the revised Computer and information security standards (CISS) (2nd edition) provides general practices with information and recommendations that will raise awareness of contemporary security issues and help protect against potential loss of sensitive data. The CISS is being released in an interactive HTML version making compliance to the standards easier for general practices. Dr Liz Marles, RACGP President, said the conference program has been designed to reflect the current issues and subjects relevant to the general practice environment, none more topical than e-health. “E-health is the future of healthcare. It has tremendous promise to improve the efficiency, cost-effectiveness, and quality of healthcare delivery,” said Dr Marles. The RACGP is hosting a high-speed broadband booth to highlight how the National Broadband Network (NBN) can better support both the business of healthcare and the use of technology in clinical care. Northern Territory General Practitioners will be promoting the Northern Territory this week to interstate medical professionals by wearing cheekydog shirts designed by local Indigenous artist Dion Beasley. “The Northern Territory is the only place on track to Close the Gap by 2031 and for this to continue we need to continue to grow our General Practice workforce,” Dr Cockayne who practices part‐time on the Tiwi Islands says. Interstate doctors will be encouraged to strike up a conversation and share these and photos via social media with any doctors wearing the cheekydog shirts, specifically conversations about the Northern Territory lifestyle. The initiative has been developed by Northern Territory General Practice Education (NTGPE) together with Dion Beasley to promote working and training as a General Practitioner in the Northern Territory and to create a sense of community for Northern Territory doctors. “Being a General Practitioner in the Northern Territory is uniquely different to other parts of Australia, this initiative not only promotes working in the Territory but has the added benefit of creating a sense of community for NorthernTerritory GP’s, many of whom work in very remote areas,” Dr Tamsin Cockayne said. A medical cheekydog band, ten musically talented GP’s who have worked all over the Northern Territory, has also been added to the mix calling themselves ‘Medical cheekydocs’. The ‘cheekydocs’ will be playing at the Adelaide River Pub Tuesday 15 November and at Crocosaurus Cove Friday 18 November to enable interstate GP’s experience to the territory outside the Conference. Dr Tamsin Cockayne is the Director of Cultural and Medical Education for NTGPE, a part‐time General Practitioner on the Tiwi Islands and a singer of the Medical cheekydog band. Further information visit the website. “AGPAL accreditation demonstrates our ability to provide the highest quality care. This award means we are providing the highest quality of care possible in a rural and remote setting. This award is significant as we were competing against mainstream organisations from across Australia. 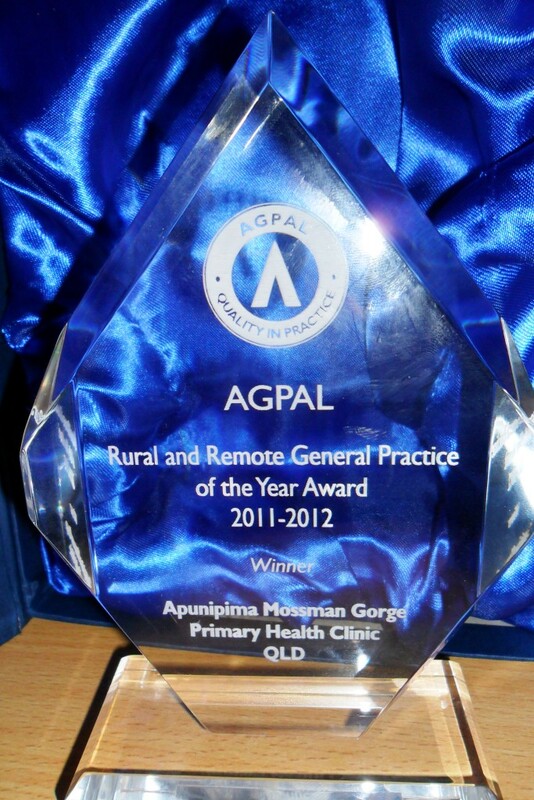 Mossman Gorge Primary Health Care Centre (PHCC) has been named Australian General Practice Accreditation Limited’s (AGPAL’s) Rural & Remote General Practice of the Year at a gala event in Sydney on Friday September 27. Mossman Gorge PHCC, the only community controlled primary health care centre on Cape York, is run by Apunipima Cape York Health Council which provides culturally appropriate, family centred comprehensive primary health care to 11 Cape York communities. AGPAL is the leading provider of accreditation and related quality improvement services to general practices. Accreditation is based on standards developed by the Royal Australian College of General Practitioners. Apunipima Program Manager: Family Health Leeona West says the award was a significant milestone for Apunipima, Mossman Gorge PHCC and most importantly, the people and communities of Cape York. 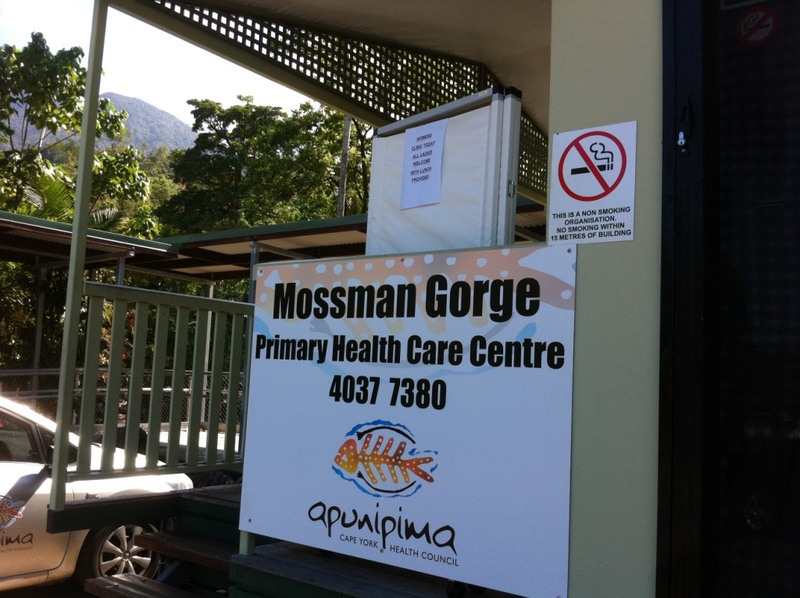 The health picture in Mossman Gorge has changed significantly since Apunipima took over the community’s small Queensland Health clinic in 2009. ‘Back then, the clinic had paper records and doctors who visited the community for four hours a week. Anecdotally, health outcomes were poor with high rates of smoking, drinking and chronic disease,’ Ms West explains. 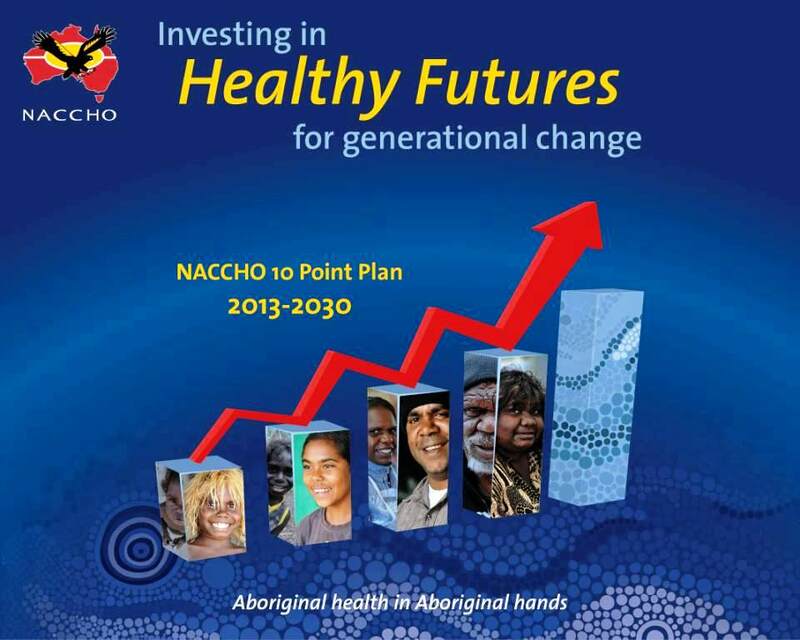 NACCHO as the national authority in comprenhesive Aboriginal primary health care currently has a wide range of job oppportunities in the pipeline. The daughter of a prominent WA Aboriginal family is the pride of her generation, becoming the first Yawuru Karajarri doctor in Broome. Kim Isaacs finished 12 years of hard toil on Friday when she passed the Royal Australian College of General Practitioners Fellowship exams. 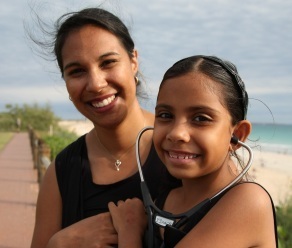 The 34-year-old will work at the Broome Regional Aboriginal Medical Service, where she completed her GP training. Dr Isaacs said her family had a strong history in medicine. “I am the first western medicine doctor but my grandfather was a traditional healer,” she said. Dr Isaacs started her medical degree at the University of WA at a time when there were few indigenous doctors nationally. “Whether to do medical school was a hard decision to make as I had just finished my bachelor of commerce degree, I was broke and I had a job lined up,” she said. Dr Isaacs said she was passionate about child health. “Our mob trust us, we work at a grassroots level and know what the health issues are facing our community,” she said. Dr Isaacs’ mother Theresa has worked for the Derbarl Yerrigan Health Service for 35 years. 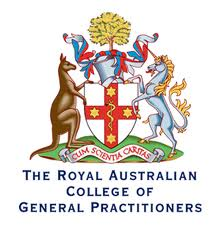 The Royal Australian College of General Practitioners (RACGP) annual conference is being held at the Darwin Convention Centre from 17–19 October 2013. ‘Individual. Family. Community.’ is the overarching theme of this year’s conference, which revolves around the streams below. Dr Jeff McMullen, Journalist, Author and Film-maker, well known for his work on Four Corners and Sixty Minutes will deliver the GP13 opening plenary Health is a state of mind. The plenary will highlight that in order to improve the health of Aboriginal and Torres Strait Islander people Australia must move from the sickness industry to a communal view of wellbeing. With the 2011–13 RACGP QI&CPD triennium ending soon after the conference, GP13 will have an increased emphasis on clinical skills, offering both Category 1 and Category 2 points through a series of workshops, sessions, short papers and active learning modules. Delegates will also have ample opportunities to network with colleagues and peers from both Australia and overseas through the exciting social program. New Interpretive guide to the RACGP Standards set to assist Aboriginal community controlled health services Interpretive guide to the RACGP Standards for general practice (4th edition) for Aboriginal community controlled health services (‘Interpretive guide’). A companion document to the RACGP’s current Standards for General Practices (4th edition) (‘the Standards’), the Interpretive guide aims to assist Aboriginal community controlled health services to meet the requirements for accreditation against the RACGP standards and to apply quality measures to their everyday practice. The RACGP and NACCHO acknowledge the efforts made by the Aboriginal Community Controlled Health Services (ACCHS), across Australia, to obtain RACGP accreditation, an important step towards achieving the best possible health outcomes for patients. 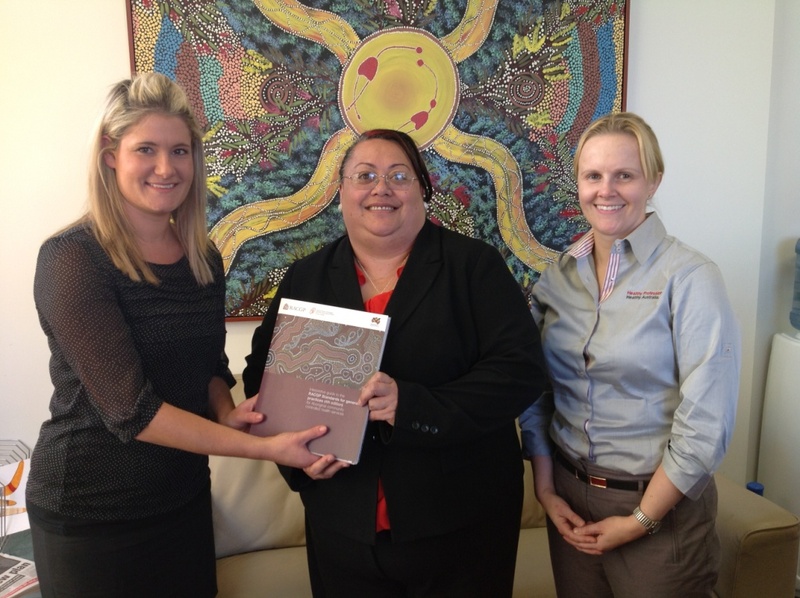 The Interpretive guide explains the Standards in a meaningful way for Aboriginal community controlled health services by taking into account their context, culture and service delivery models. Associate Professor Brad Murphy, Chair of the RACGP National Faculty of Aboriginal and Torres Strait Islander Health, acknowledges that Aboriginal community controlled health services are committed to achieving RACGP and other forms of accreditation, and this new resource aims to assist in identifying the relevance of the Standards to their own health services and communities. “Thanks to the highly effective collaboration that took place between the RACGP and NACCHO, as well as its state and territory affiliates, we are proud to jointly launch a significant piece of work that will contribute to ongoing quality and safety improvements in the health services delivered to Aboriginal and Torres Strait Islander communities,” A/Prof Murphy said. By applying the Standards to individual practices, GPs, Aboriginal Health Workers and their practice teams ensure the provision of high quality, safe and contemporary primary healthcare is delivered to all Australians. “Achieving accreditation demonstrates that a practice has been assessed as having reached defined standards of excellence in safety and quality in primary healthcare. This should be a matter of great pride to the practice itself, its patients and the community,” said A/Prof Murphy. http://www.racgp.org.au. The RACGP recognises the traditional custodians of land and sea, on whose lands we work and live. We wish to pay our respects to all Traditional Owners and Elders past, present and future. The Royal Australian College of General Practitioners (RACGP) welcomes news of the Australian Government’s recent commitment of $777 million to fund its share of a renewed National Partnership Agreement on Closing the Gap in Aboriginal and Torres Strait Islander health outcomes until June 2016. 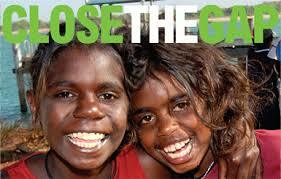 The announced funding will significantly further efforts to close the gap on Indigenous health disadvantage, however the College notes that funding commitments are now required from all states and territories in order to ensure vital programs and services are not at risk from 30 June 2013. “The RACGP is proud to support efforts to tackle health disparities between Indigenous and non-Indigenous Australians and acknowledges the daily work of many of its members to improve health outcomes for their Aboriginal and Torres Strait Islander patients,” said Dr Liz Marles. Associate Professor Brad Murphy, Chair of the RACGP National Faculty of Aboriginal and Torres Strait Islander Health said, “Sustained commitment of funding and resources by all levels of government is cornerstone to the ongoing success of these efforts to Close the Gap in healthcare inequality for our Nation’s Indigenous population. “If we are able to continue this focused response to the health needs of our Aboriginal and Torres Strait Islander patients the resulting opportunities within the general practice setting will result in better resourced general practice teams and ultimately better healthcare for all Australians,” A/Prof Murphy said. 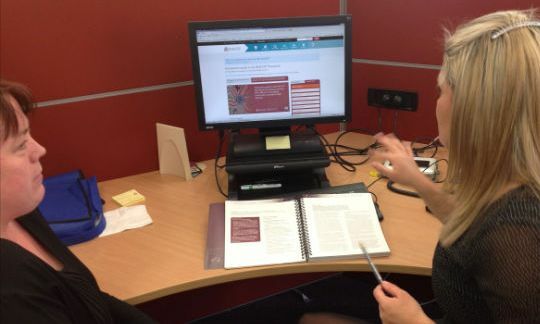 As part of the RACGP Standards for general practices (4th edition) general practice teams need to demonstrate they routinely record the Aboriginal and Torres Strait Islander status in active patient health records. “Without practice awareness, a patient who identifies as Aboriginal or Torres Strait Islander would not benefit from measures available under the Practice Incentives Program Indigenous Health Incentive (PIP IHI) and the Pharmaceutical Benefits Scheme (PBS) co-payment measure,” Dr Marles said. “It is now time for Australia’s states and territories to recommit to a renewed agreement to continue long-term funding for the COAG National Partnership Agreement on Closing the Gap in Indigenous Health Outcomes,” Dr Marles said. NACCHO congratulates Dr Catherine Engelke from the Kimberley Aboriginal Medical Service Council,Kununurra, West Australia,who has won the Royal Australian College of General Practitioners (RACGP) General Practice Registrar of the Year Award 2012. The RACGP General Practice Registrar of the Year Award recognises the strong commitment made by a GP registrar to learning, the general practice profession and provision of high quality patient care. Presenting the award at the conclusion of GP12, the RACGP’s annual conference, RACGP President Dr Liz Marle congratulated Dr Engelke, noting her strong determination to realise her childhood dream of becoming a doctor. “Dr Engelke trained as a nurse and midwife, becoming involved in providing nursing care to the remote communitie of East Kimberley. Dr Engelke subsequently settled in Kununurra where she became an educator for Aboriginal healthworkers and became involved in regional Aboriginal health planneing. It was during this time, her passion to study medicine was unearthed once more,” Dr Marles said. “Since graduating from medicine in 2008, Dr Engelke has returned home to East Kimberley, where she proudly provides primary healthcare to the community of Kununurra and to the aboriginal communities of Warmun and Hall Creek, to whom she is related. Dr Engelke is well known for her ability to build strong rapports with her patients and is recognised for her holistic approach to delivery of care. “Dr Engelke’s many services to the community started even before completing her MBBS in 2008; her role in the development of the Kimberley Aboriginal Health Service Plan, in addition to her work undertaken in the Kimberley translation of the Edinburgh Post natal Depression Scale (EPDS) are just two examples of her passion to improve the health outcomes of women in the local area,” Dr Marles said. Currently Dr Engelke is employed as a GP Registrar at both the Kununurra District Hospital and the Kimberley Aboriginal Medical Service Council. Dr Engelke said receiving the award was an honour and a testament to her long standing goal to practise medicine with and for her countrymen. “I feel blessed to be able to fulfil my childhood dream of becoming a doctor. I lacked the confidence initially and cannot believe how much my life has changed for the better since I have realised my potential,” Dr Engelke said. “I have been fortunate to have been given the opportunity to work with inspirational mentors and peers, and feel honoured that I can give back to my profession on such a personal level. 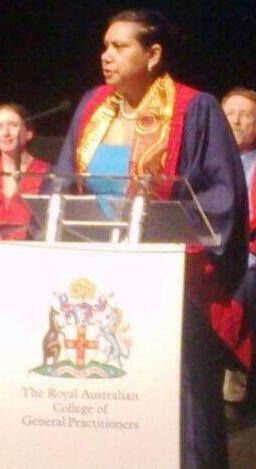 To be recognised in this way, was totally unexpected and humbling,” Dr Engelke concluded. Associate Professor Brad Murphy, Chair of the RACGP’s National Faculty of Aboriginal and Torres Strait Islander Health, said GP12 presents a timely reminder that closing the gap on health outcomes and life expectancy between Aboriginal and Torres Strait Islander people and non-Indigenous Australians remains one of Australia’s highest health priorities. “Providing clinically and culturally appropriate healthcare to Aboriginal and Torres Strait Islander people should be a priority for all GPs. “Ensuring proper identification of the Aboriginal and Torres Strait Islander status of patients is needed in order for all GPs to assess specific healthcare needs, whilst also providing an opportunity to outline available services these patients can access,” A/Prof Murphy said. A highlight of GP12 will be the National Faculty of Aboriginal and Torres Strait Islander Health plenary session, held Thursday 25 October 4.45 pm – 5.45 pm (EST). The session aims to review recent developments and promote greater understanding of issues affecting Aboriginal and Torres Strait Islander health. Associate Professor Mark Wenitong, Senior Aboriginal Public Health Medical Officer for the National Aboriginal Community Controlled Health Organisation (NACCHO),” A/Prof Murphy stated. Facilitated by Melissa Sweet, moderator of the online health blog, Croakey, this year’s interactive plenary session will focus on topics such as the impact of racism on Aboriginal and Torres Strait Islander health. “Racism is a major issue preventing Aboriginal and Torres Strait Islander people proactively accessing health services because of the lack of cultural safety,” said A/Prof Murphy. The joys and rewards of working in Aboriginal and Torres Strait Islander health. Associate Professor Murphy encourages all GP12 delegates to attend sessions relating to Aboriginal and Torres Strait Islander health. “Within the seven key streams outlined in this year’s program, there are a number of excellent presentations that will take place during the conference, including ‘Working with Aboriginal and Torres Strait Islander patients: what every doctor needs to know’, ‘Supporting Aboriginal and Torres Strait Islander doctors to gain FRACGP’ and many others. “Some GPs believe that they don’t have any Aboriginal and/or Torres Strait Islander people amongst their patient group, but they may be surprised. It is only when a general practice starts identifying the Indigenous status of all their patients that they can be sure. “GPs have significant potential to make a difference in improving health outcomes for Indigenous Australians – it is important to be aware of the issues and developments affecting Aboriginal and Torres Strait Islander health.” concluded Associate Professor Murphy.